Was in the high 20's on his PT57E, anyone know what it is in Rome on his Pure Aero PJ (may be an Aeropro Drive)? 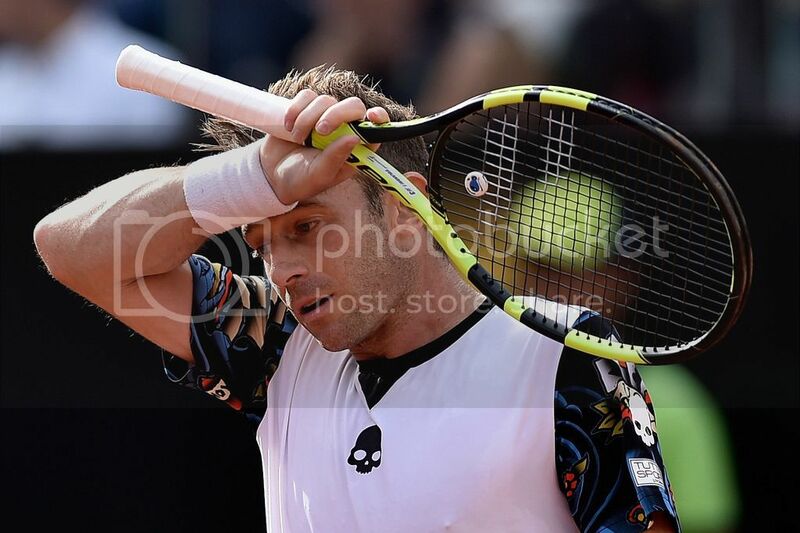 Looks like he is using the Babolat Aero Storm these days. Thanks for the correction, only got a quick look from a distance on TV of the Ferrer match, Volandri still hits a nice backhand. This is, at least, a less drastic frame change for him. Just looked at his stats - 9W 58L on hard - ouch! Decent 158-138 on dirt. I read that in Rome was around 15 kg, but I seem to recall that some years ago, when he was still using PT57E, arrived around 11 kg!!! I heard that another one that use very low tensions is Kukushkin (not sure to have spelled exactly the name ), but I don't recall how low exactly. Also 11kg for Kukushkin sometimes. Sometimes little higher too. I have to update/correct my statement about Volandri string tension at last Rome tournament. 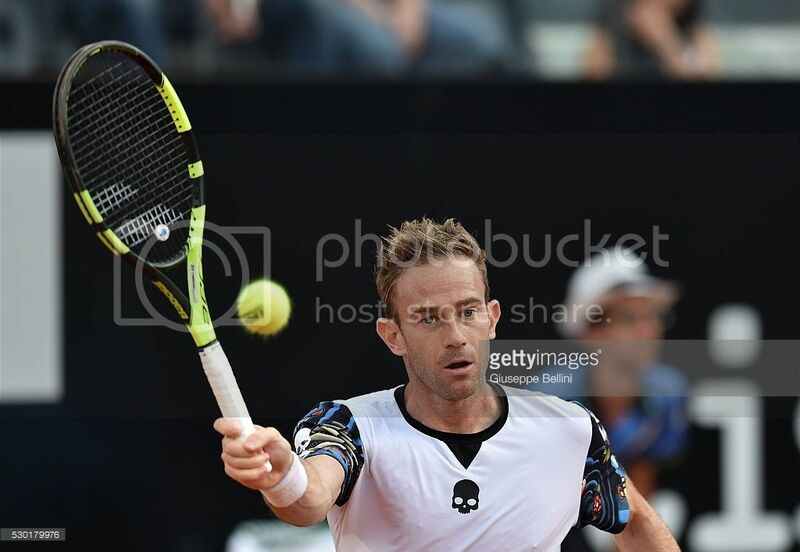 I've just read a report from an Italian stringer who worked there: Volandri used Babolat RPM at 12.5/12.5 Kg and Kukushkin Signum Pro (it is not specified what model) at 13.5/12.5 Kg. Another one pretty low was Cuevas with Luxilon 4G at 16.7/16.2 Kg. That looks like an aerostorm mold. The regular aeropro would be a pretty open pattern for extreme low tensions. Kukushkin had 11kg at Australian Open and was thinking about going down to 10,5kg. Sounds pretty normal to go up a few KG for clay matches. I do not totally agry with that. On clay court playing conditions are slower than on hard court (nowdays not so much actually), so I'll expect lower tensions or the same as usual, but not higher ones. Anyway it's pretty low for sure, especially for a pro player and even more in the case of Volandri, who use a racquet that already have a lot of power for sure. The very low tension he uses helps him to hit those massive serves he is very famous for. On a serious note it is a real pity because his groundstrokes aren't that bad.